Lane End is to the west of High Wycombe. 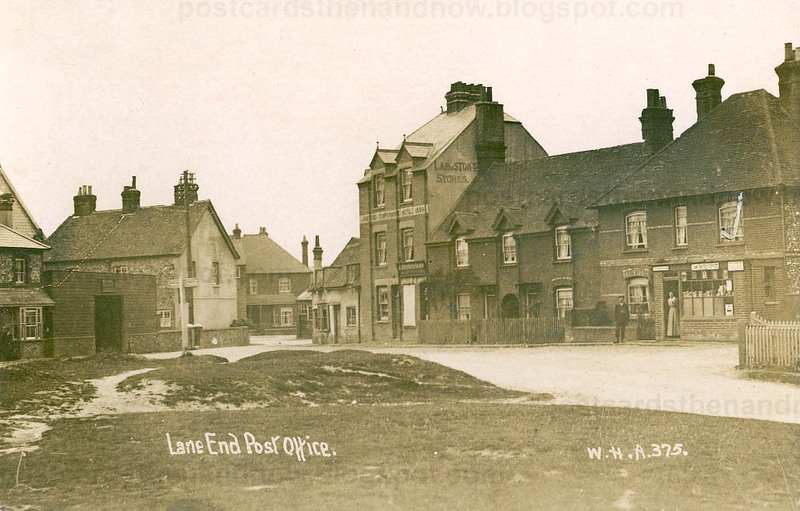 The tall building in the centre of the picture has a sign on the front that says 'Lane End Temperance Hotel 1899'. Lane End now. You can still see the temperance hotel sign if you zoom in.